Public and private institutions today use organized innovation to achieve their development targets. Design of an innovation plan is the prime step to reach innovation at any university. 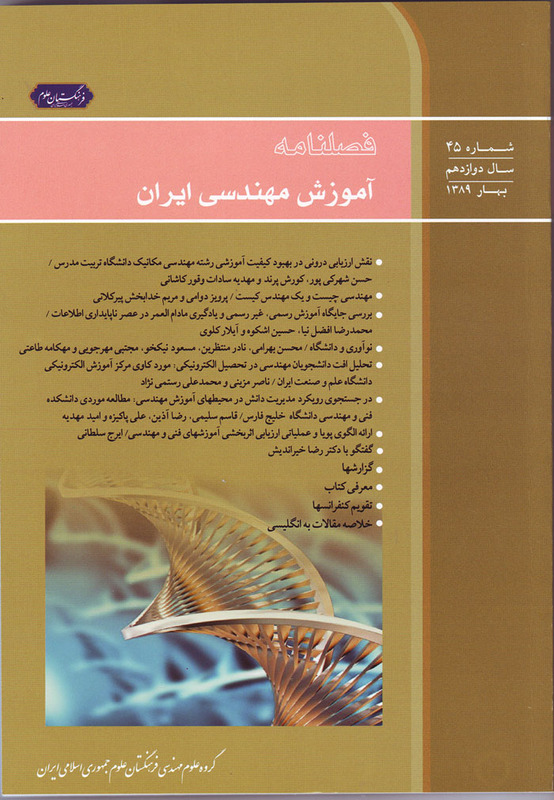 This paper presents Amirkabir University of Technology innovation plan. This plan includes some specific features that are new to Iranian universities. First, it explains the innovation concept and management and their key components. Then it explores the role of universities in local, national and international innovation and growth. Finally it introduces the methodology, and elements of Amikabir University of technology innovation plan. The unique point in this article is that it utilizes group dynamic techniques at university level in order to devise an innovation plan that reflects the characteristics of Amirkabir University of Technology in particular and Iranian universities in general.